This photograph shows the locations of two embryos and one neonate, along with the female ichthyosaur, documented in a new study that indicates marine reptile viviparity may have evolved on land. Image courtesy Ryosuke Motani. Scientists have discovered a fossil that preserves an infant prehistoric marine reptile in the process of being born, a find that indicates live birth may have first evolved among land-dwelling organisms. The specimen dates to about 248 million years ago, during the early Triassic period, and is of a female ichthyosaur, along with two embryos and one neonatal individual. One of the embryos was still inside its mother when death came, another was partially outside the adult individual’s pelvis, and a third was entirely outside its mother. The position of the embryo that is half-way out of its mother’s body indicates that head-first birth occurred among ichthyosaurs. If so, then the birth may have occurred on land and not in the water, as has generally been presumed by scientists to be likely in the case of early Mesozoic animals. Viviparity, as live birth of infants is known, has independently evolved across a wide variety of organisms. It is known in fishes, amphibians, reptiles, and mammals and, even among ichthyosaurs, the phenomenon has been observed in fossils dating from the middle Triassic period to the Cretaceous period. Mosasaurs and plesiosaurs are other Mesozoic era marine organisms that were viviparous. Those reptiles lived during the Cretaceous period. 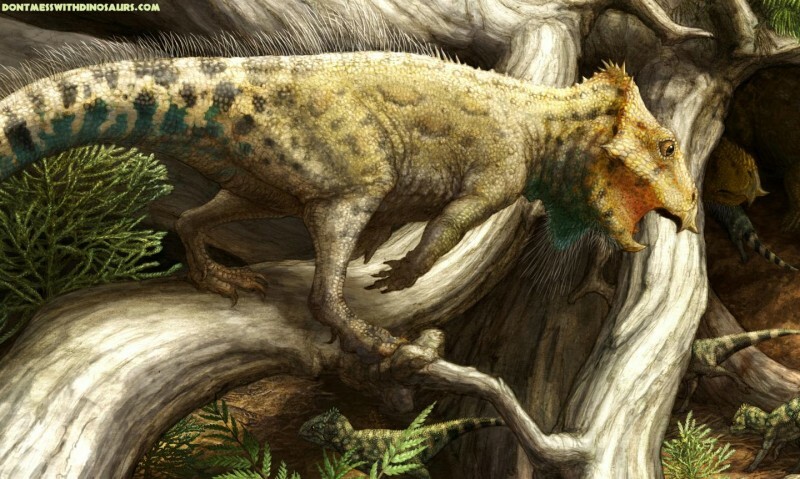 The fossil preserved individuals of the genus Chaohusaurus would have plied seas near present-day Chaohu and Yuanan, China. The adult specimen was about 100 centimeters long, while the embryos and neonate were about 18 centimeters long. 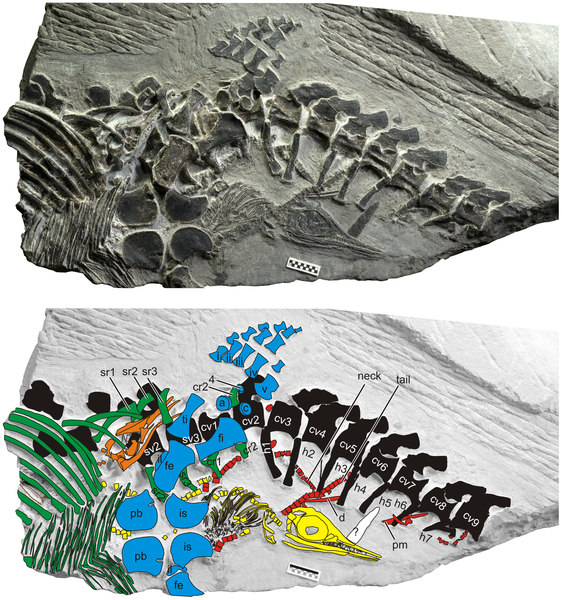 A paper documenting the fossil discovery appears in the Feb. 14, 2014 edition of PLOS One. The fossils documented in it are at the Anhui Geological Museum in Hefei City, China.